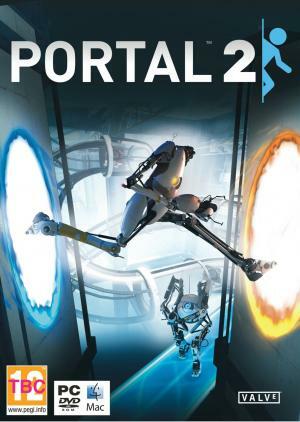 Portal 2 draws from the award-winning formula of innovative gameplay, story, and music that earned the original Portal over 70 industry accolades and created a cult following. The single-player portion of Portal 2 introduces a cast of dynamic new characters, a host of fresh puzzle elements, and a much larger set of devious test chambers. Players will explore never-before-seen areas of the Aperture Science Labs and be reunited with GLaDOS, the occasionally murderous computer companion who guided them through the original game. The game’s two-player cooperative mode features its own entirely separate campaign with a unique story, test chambers, and two new player characters. This new mode forces players to reconsider everything they thought they knew about portals. Success will require them to not just act cooperatively, but to think cooperatively.